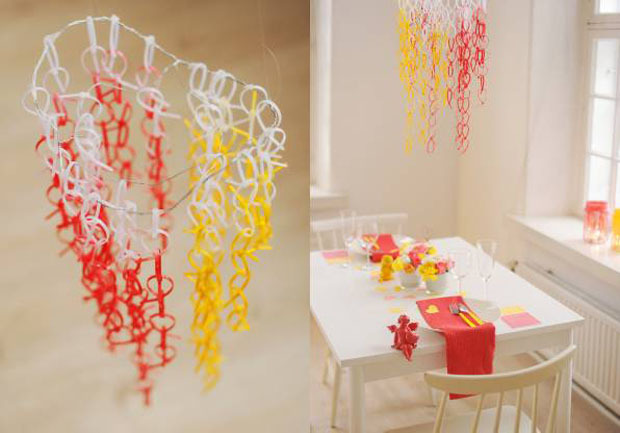 Here is a cute new take on the classic zip tie chandelier. We’ve seen a lot of versions of this concept, from elaborate chandeliers to basic lamp shades. This one is clearly designed as a matching accent for some kind of minimalism interior design. Don’t get me wrong — it looks good and while I can’t really imagine this in the house of anyone I know, I can absolutely imagine it as part of an Ikea display. You know, that’s something the world really needs — some kind of official zip tie representative working on show room design. It could be everywhere from Home Depot to Target to department stores. After all, just about any display you can think of could probably benefit from some carefully constructed zip tie art. And then the store would benefit from all the people talking about it and heading over to take a look.